Fry everything separately on a hot tava. Powder them together and keep it in a airtight container. You can use it to make chutney , or any kind of instant pickle you would like to make. Fry both of them with half a teaspoon of oil on a hot tava till they are crisp. It may take about 3 mins on a hot tava. Let them cool. Powder and store it. 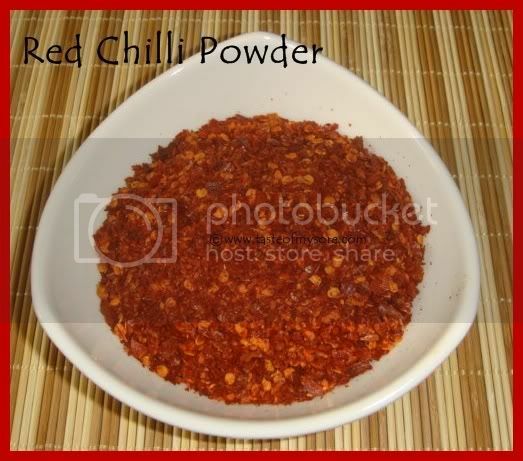 The resulting powder is very very spicy...use it with caution. Over the years I have started disliking store bought powder so I tried this and it worked well. Separate curry leaves from stem and store in a airtight container. You can store curry leaves for more than a month like this :) in refrigerator. Never thought of making pickle powder and storing it..Nice idea..Happy Shivarathri..
useful post Lakshmi! 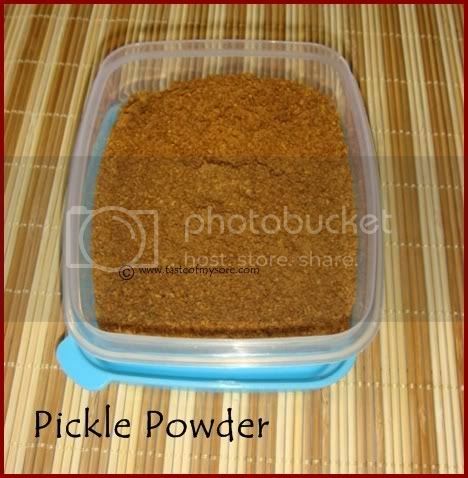 pickle powder looks so handy for many recipes. 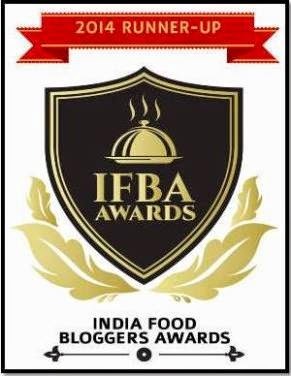 btw, don't we have to refrigerate curry leaves? nice tip on storage of curry leaves..mine always dries in the fridge ..pickle powder sounds good too..
Oh I want the pickle powder right now! 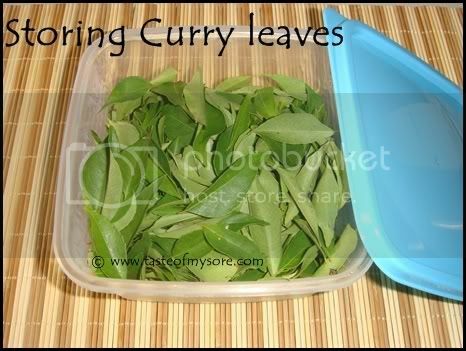 a good way of storing curry leaves. thanks for reminding it Uma. I have edited the post. You are tempting me :)..Tumba colorful agide and the pickle pudi sounds yummy..